﻿Many area churches have spiritual services and activities! They always welcome visitors and many of their activities are FREE! Save gas by riding the Trolley in Pigeon Forge and Gatlinburg. Hit all the" hot spots" while spending only 50 cents for a one-way trip. The fare for the Pigeon Forge Trolley is year around, however, The Gatlinburg offers FREE rides in the summer, but goes back to the regular 50 cents charge for the other seasons. Receive discounts on food, attractions, etc...Coupon Books are scattered all around the area! You may pick these up at most area businesses or the Visitor's Centers. You may also find good discounts on-line. Bring plenty of food and snacks with you! Non-perishable meals are recommended, however, many of the hotels and cabins have access to microwave ovens and refrigerators. Be sure and check an "on-line" events calendar before your trip. There are lots of car shows, art shows, and that are absolutely FREE! There is no charge for scenic rides through the mountains! Enjoy spectacular views, and get with low cost, or free programs and events. Mini Golf courses are everywhere! It's a great way for the whole family to enjoy a day of low-cost fun. Map your route for the best way to reach your destination. Cut corners on spending in every way you possibly can. Pick up extra work on the side. Use your own money by using a debit card instead of credit cards. 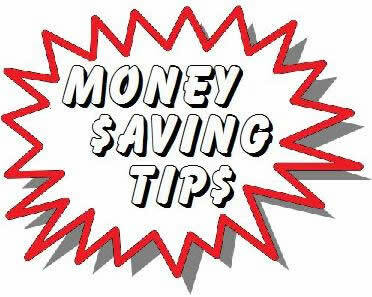 Buy at thrift shops for needed items at much lower cost than stores. Open a bank account specifically for your vacation fund. Search for travel deals online. Make sure you've packed EVERYTHING needed before leaving. Plan your trip during the "off-season!" Everything is much cheaper! Many travel into the area on tour buses! It's much easier than trying to plan everything yourself. By leaving your vehicle at home, you don't have to fight traffic or try to find your way around. Everything is done for you and has generally already been paid for in advance. Many attractions offer discounts through bus tours. All you have to do is sit back and enjoy the ride! 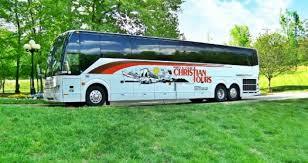 Rocky Top Tours are great for local tours. If you are interested in visiting areas up in the Smoky Mountains, Rocky Top has an excellent itinerary of Sightseeing Tours, Shuttles, Charters, Wildlife Excursions, and more. Give them a call toll free at 1-877-315-8687! It's an awesome "Penny Pinching" idea! Trolley Rides - Penny-Pinching Way To Go! THE TROLLEY - With gas prices soaring, parking your vehicle and cruising around on the area's trolley is a "real plan" if you're trying to "penny pinch!" It's the "penny pinching" thing to do! There are trolley stops all over the area, so they are easy to catch. Many hotels offer trolley pick-ups! Trolley costs are very reasonable as opposed to a tank of gas! It's a great way to save on parking. The cost to ride the trolley is only 50 cents per destination. Catch the trolley and ride from Gatlinburg to Pigeon Forge or from Pigeon Forge to Gatlinburg! (Now that's what I call penny-pinching!) During the Christmas Season Gatlinburg offers a "Winter Magic Trolley Ride of Lights." It's a magical trip through downtown Gatlinburg filled with thousands of colorful, twinkling lights. Times are 6:30, 7:30, and 8:30 at night. The cost is $5.00 per person. The trolley does not run on Christmas Eve or Christmas Day. THE OFF SEASON - Get more "bang for the buck" by planning your trip during the "off season." Hotel rates decrease dramatically, more so during the week than on weekends. Several have indoor water parks! Malls, and souvenirs shops usually have good sales so they'll be ready to stock the new "in season" stuff. The off-season is the best time to do some penny-pinching! You'll be amazed at how easy it is to drive around as a result of less traffic. Everything is much easier to get to, and you'll save gas by not having to wait at every corner. Only a few places remain closed during the "off season." Most everything, including the shows, restaurants, and most of the roads in the mountains remain open. Accept, of course, during inclement weather. Finding ways to do your "penny pinching" is easy to do in the Smokies. Folks around here realize times can be tough, and they'll offer a good break where they can! You'll find discount shops, great sales, and thrift stores with nice selections at low cost. Resorts in the area offer free tickets to area shows, attractions, and theaters, and sometimes even spending money in exchange for a couple hours of your time to allow them to introduce you to their properties. There are lots of activities year around! Many are free of admission! It's a good idea to find out what special events are taking place as you plan your trip.